Kali Parsons: Can you Spot the Freckles? 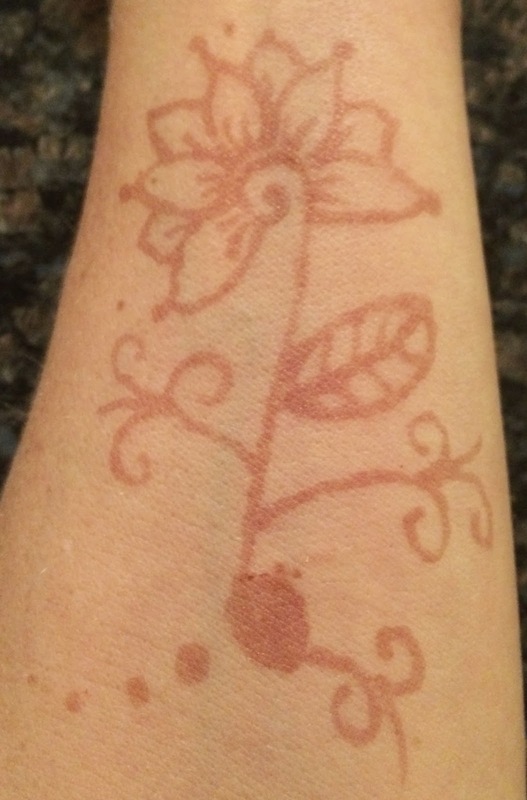 In my continuing effort to learn how to draw with henna, here's my latest forearm piece. And I do believe that I'm improving...bit by itty bitty bit. What I'm suddenly aware of, that I hadn't noticed before, is that I have freckles on my arms. A lot of freckles. So many that I ended up looking at the photo I had taken right after I applied the henna to see if it was just me sloppily splattering henna around. But nope, I wasn't sloppy, just freckly.